Private, spacious, furnished 2nd floor apartment, finished to a high standard, overlooks playing fields and offers an open plan dining/kitchenette, an open plan lounge/study, comfortable bedroom and separate bathroom. Local services, within walking distance (1-2 km) include award winning restaurants and take-outs, supermarkets, pubs, gyms, swimming pools, lidos, public parks and cinemas. Public transport, within walking distance (0.3-2 km) provides easy access to Central London and surrounds. Parking is available on the estate. The area is also supported by private hire taxi services. Supported by bus services (a 5 minute walk), the London Overground Rail services (a 10 minute walk), and two underground tube stations; the Northern Line giving easy access to the north and south of London, while the Piccadilly Line travels from east to west, providing direct access into Heathrow Airport. Sport fans are able to access stadiums such as Wembley, Twickenham, Emirates, Stamford, White Hart Lane, The O2 Arena, Crystal Palace, Boleyn Ground, The Olympic and Lord's Cricket Ground. Accessible exhibition halls include ExCell, The Barbican, Earl's Court and Alexander Palace, with its magnificent gardens and panoramic views across London. A huge selection of London gardens and palaces also display art collections; Buckingham Palace, Kensington Palace, Hampton Court Palace, Eltham Court Palace and Syon House. The popular The Royal Botanical Gardens at Kew are accessible as are many of the the smaller gardens including Chelsea Physic Gardens, where one can view world medicine and pharmaceutical medicine in growth, Kyoto Japanese Garden, Charlton House Peace Garden, Fulham Palace Garden, Chiswick House Garden and The Garden Museum. The Royal Museum Greenwich includes the Maritime Museum, the historic Queen's House and The Royal Observatory. Observe, close by the Greenwich Time Line, relive the images of the past Thames trade and Thames battles, picnic in the beautiful Greenwich Park, visit the newly renovated Cutty Shark, shop in the renowned 'First Shop in the World', the artistic and unique Greenwich Market, take a casual, upmarket or formal meal in one of the many local eateries or relax on a Thames River cruise. Street art can be found in Trafalgar Square, Canary Wharf, Spitalfields, Lewisham and you might go in search for the guerilla artist Banksy, works in London. Accessible parks include Hyde Park, Regents Park, Richmond Park, St James Park, Victoria Park, Hampstead Heath, Clapham Common, Battersea Park or enjoy a tour guide down the Lee Valley Regional Park. 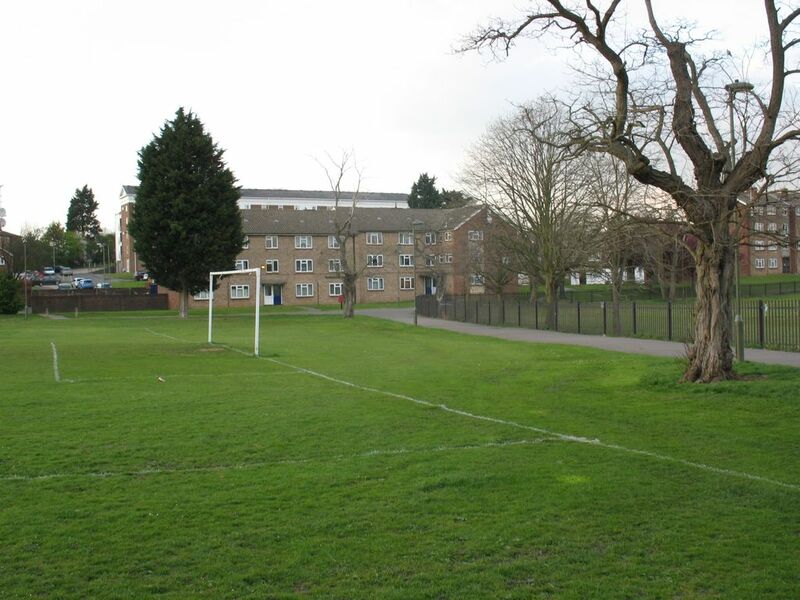 Other attractions close to the apartment include the Royal Air Force museum, The Arts Depot Theatre, Barnet Football Club, Golder's Hill Zoo, the Chicken Shed, Friary, Brunswick and Bethune Parks. toilet, combination tub/shower, Washbasin included. Heated towel rail. On demand power shower supplies hot water throughout the day. Good size enamel bath. First come, first served parking at back of residence. No permit required. A wireless internet is available for use in the apartment. Seats 4 - 6. TV, Radio and internet provided. The apartment benefits from insulated walls and double ceiling insulation, making it a very warm unit. Fitted storage heaters are provided in the lounge, bedroom and passage areas. Since the winter of 2010 the passage heater, alone, on a low setting, has provided ample heating for the apartment residents. Everything about our experience was positive. The flat is lovely, well cared for, and in a good location. Nadia was wonderful and very helpful and even checked in on us to make sure we were getting along alright. This was my first booking with VRBO and I was quite hesitant about how it would go, but I couldn't have asked for a better experience. I recommend Nadia and her flat highly. Very friendly host and great clean apartment. Nadja the host has been great. She is not just good in communicating but also very flexible , helpful and friendly. The apartment is spacious and kept very clean. All you need is there. It’s close to underground and busses and a nice park. Will definitely use here again. Thank you Sandra. It was great hosting your party. The apartment was spotless clean. The location was perfect with 3 train lines nearby. The Piccadilly, Northern and Great Northern. Buses 251 and 34 come every 8 to 12 minutes to Beconfields road stop. Wonderful park with green park views out every window. The apartment has everything you need. Thank you. So glad you enjoyed your stay. We recently stayed at the apartment in Barnet. The pre-arrival communications via email with Nadia were excellent---she always provided rapid and clear responses to questions. She met us at the apartment at the pre-arranged time and quickly explained the various workings of the apartment, electricity, shower/bath, washing machine, TV. There is also a binder in the apartment explaining these various operations. The Wi-Fi was not available due to an ISP problem, but this has now been fixed. The hot water system is on a timer, but hot water from the shower (with a separate heater) is always available. The apartment was clean, but small (by North American standards), consisting of a living room, kitchen and one bedroom (double bed); a mattress was also available for use on the floor in the living room, if needed. The apartment was fine for 2 people, and 3 would work as well, but 4 would be a bit tight. The apartment is about 30 min from central London. However travel is very easy by taking the nearby bus to the tube station (Arnos Grove) and taking the Piccadilly line to central London (or to Heathrow for that matter, about 75 min). Nearby are a grocery store (Tesco express, open till 11 pm), several pubs, and an excellent Indian take away. In general, we would highly recommend the apartment to anyone. It meets all criteria for enjoying a wonderful stay in London. Lovely and very Cosy. Home away from home. Nice place to relax and get away. Nadia was helpful too. Nadia was a pleasure to work with. Honest and upfront...no hidden fees like some of the other owners listed on this site. The apartment was immaculate. Well stocked and the view of the adjacent walking path/soccer field is charming. This apartment is about a mile walk from the Piccadilly tube line. The location is approximately five miles outside of the heart of London; perfect for us as we had a car and took day trips to other areas in the UK. The building has free parking which was a plus. The neighborhood was quiet and safe. Only negative aspect of this apartment was the walls seem thin; we could hear the water running in other units and muffled voices. But the price was right, the owner wonderful, the unit clean and well stocked. Would definitely stay here again and recommend it to others. Thank you for your review Lisa. Delighted that you had a good time in London. Also, thank you for taking good care of the apartment and for the tips and suggestions left. The 'Leave an item, take an item' will become a standard addition. Superbly situated, this North London apartment has public transport access to and from Heathrow, Luton, Stansted, City and Gatwick airports and easy rail access to Stratford Station and the Olympic Village. Visit London's popular tourist attractions: The National Gallery, Tower of London, British Museum, Tate Modern, Science Museum, Victoria and Albert Museum, Madame Tussauds, London Eye and the Royal Museum Greenwich, Big Ben, take a London tour, attend a London musical or theatre, read in the British Library, attend a London Gig, explore the London Dungeon, the Globe Theatre, the Tate Modern, cross the Millennium Bridge to St Paul's Catherdal, stroll along the Victoria Embankment to The Royal Horticultural Halls in Westminster, shop in Oxford Street, visit Covent Garden, Leicester Square, Soho, Borough Market or watch the sun set from Waterloo Bridge. Attractions close to the apartment, include Camden Market, The Jazz Cafe, Camden Town, Dingwalls, High Gate, Crouch End and Alexander Palace. This property does not accept bookings for periods less than of 7 days. Generally check-in cannot occur on Wednesdays.